I don't usually do "real clothes" cosplay, but this one was a Patron suggestion (and Wendy is such a great character!) This is a ridiculously comfortable costume, plus I learned a new fake freckles makeup technique for this one! 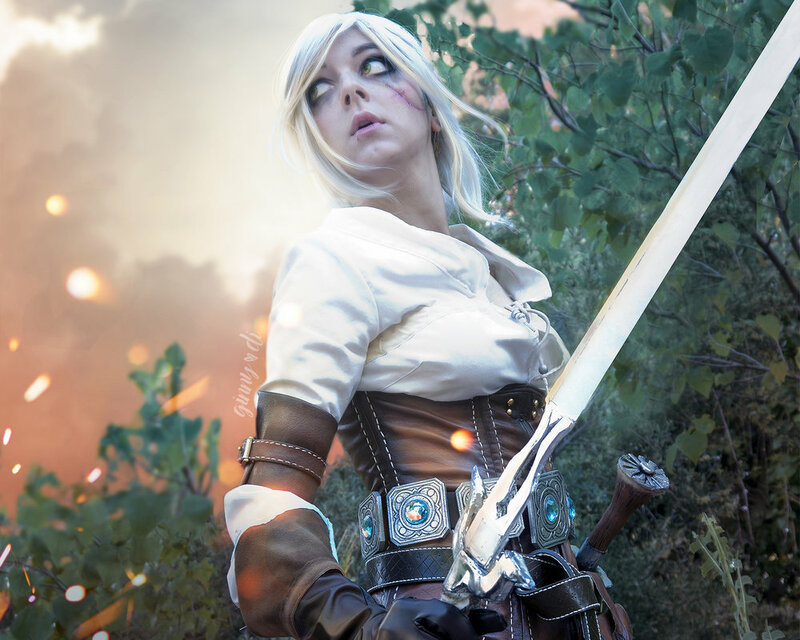 I made Ciri in 2016, but this past year I updated her! With the new and improved pieces, this has become one of the costumes I'm the most proud of. I created this one for a group April Fools' joke! We all announced this cosplay for "Daokon 2017," then fought over the "theft" of our idea. I made new friends! We fostered two ginger kittens in 2017 named Fred and George! Of course, I had to do a Weasley family photoshoot. I created pin-up Dr. Horrible to meet Nathan Fillion and Felicia Day at Denver Comic Con! This was meant to be a quick and simple costume, but ended up being one of my favorites from the year. I put together Queenie's pajamas for a Goldstein sisters photoshoot with Starbit Cosplay in Norway! 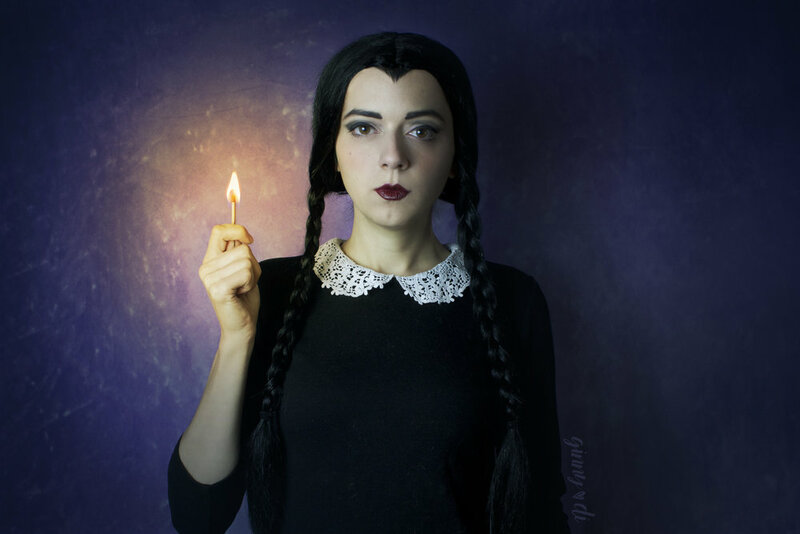 I've made Wednesday before, but this year I updated her for my Halloween music video! I covered the Addams Family theme as this iconic little goth kid. 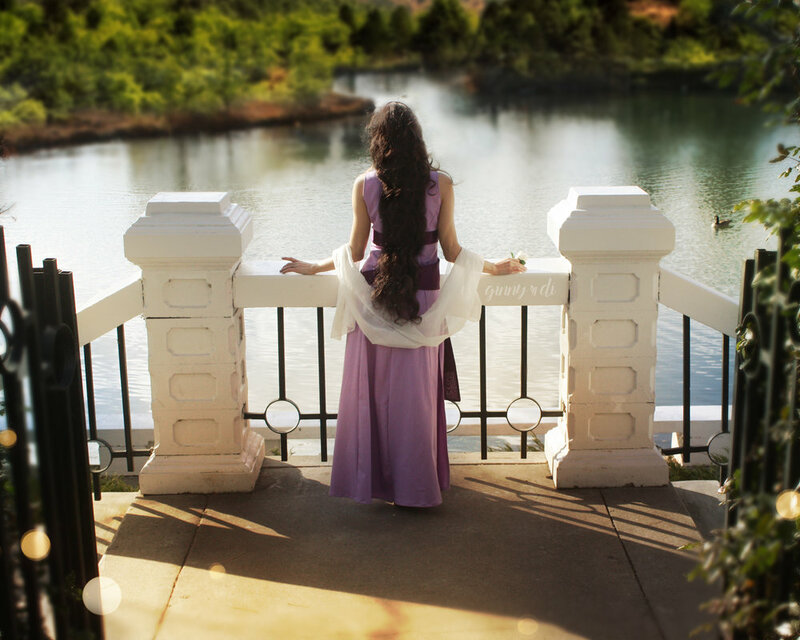 Megara is another remake, this time for a Disney parody music video. "Take a Hint" features four Disney ladies, four Disney creepers, and a lot of sass! I created two sets of Harry Potter-inspired pin-ups this year! The calendars are sold out, but stickers, prints, and greeting cards are still available! It was a crazy year (my first year as a professional cosplayer!) and a lot of fun! I can't wait to see what my 2018 cosplays look like.